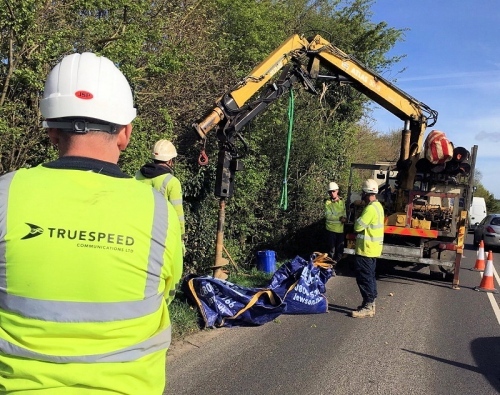 The co-founder and CEO of UK ISP Truespeed Communications, Evan Wienburg, has told ISPreview.co.uk – as part of our new interview – that their “full fibre” (FTTP) broadband network in South West England has already covered 3,000 rural premises and they aspire to hit 200,000 by 2025. Indeed the regional state aid supported Connecting Devon and Somerset programme has certainly had plenty of challenges (example). One of the reasons for this is due to the rural nature of the region, where building any kind of Gigabit capable Fibre-to-the-Premises (FTTP) network tends to be very slow and expensive. Nevertheless Truespeed’s demand-driven model (i.e. 30% of a community must commit before they build) appears to have taken a leaf out of Gigaclear’s book. As a result they were initially able to create enough commercial interest to fund deployments to several villages in the Chew Valley (e.g. Priston, Compton Dando, Stanton Drew and Stanton Wick). The effort clearly worked because last year the ISP secured a huge investment of £75 million from Aviva Investors to help expand their network (here), which is a considerable sum for such a young provider and helps to demonstrate how much appetite there is for putting money into optical fibre. As it stands Truespeed’s network has already reached 3,000 premises and they expect to cover over 12,000 by the end of this summer 2018. “Money can no longer be cited when building business cases against the delivery of ultrafast networks. The demand is there and the appetite for investment is too. The best thing the government can do is to encourage private investors to build these networks, and ensure that regulatory practices are in place to allow investment to flourish,” said Evan. Going forward Evan said their goal is to have 75,000 properties connected by 2021, “so we’re looking to have around 1,800 properties passed every month for the next 5 or 6 years. 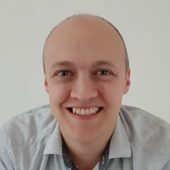 Come 2025, we’d like to see 200,000 properties connected.” Naturally we were keen to know more and Evan has kindly agreed to answer some of our questions. 1. Truespeed is one of the most recent entrants into the country’s growing market for full fibre (FTTP/H) alternative network providers. On top of that you’re also one of the few commercial operators that seem to be making a business model out of connecting up rural villages (mostly in South West England), which are usually some of the most expensive areas to tackle. All of this work was underlined by last year’s announcement of a significant £75m investment into the ISP. How have you managed to attract so much investment so quickly toward such a challenging delivery area, what’s the secret? There’s huge demand from businesses and consumers across the UK for essential future-proofed internet infrastructure and services, which has boosted investors’ confidence. Key to attracting the investment was to identify ways of making the delivery areas less challenging, and finding a business model that supports infrastructure delivery in a way that doesn’t make the resultant service cost-prohibitive for customers. We’ve solved this by changing traditional building methodologies and management to be able to consistently deliver to cost and on spec. Investors can see a business model that results in a service that is faster, more effective and lower cost, without impacting on profitability. The only missing ingredient is guaranteeing that the demand will be there from day one, and we’ve solved this – reassuring our investors in the process – by creating a demand-driven model. If 30% of a community wants our service and signs up, then we’ll move in and deliver the infrastructure. 2. Last year we initially heard it stated that Truespeed were aiming to deliver 75,000 premises passed with FTTP and later in that same year I saw one of your INCA slides put the aspiration at a very specific 103,000 premises. Can you tell us roughly how many premises you reach today and what do you aspire to reach in the future (ideally mentioning over what sort of timescale)? Our stated aim is to pass 75,000 households and businesses within South West England by 2021. There are more properties that we’ve identified as viable targets and so if there’s an opportunity to go faster, than we’ll look to take it. But if we deliver 75,000 properties then both ourselves and our investors will be very happy, not to mention the hundreds of thousands of people whose lives will be transformed by access to full-fibre broadband. Currently we have passed 3k properties and by the end of the summer we will have passed over 12k properties which are in build now. We’re working on an additional 120 communities and will continue to add then to the delivery. Government initiatives like the Gigabit Voucher Scheme can make a massive difference to accelerating the process too, which is why we’re so happy to be one of the core delivery partners to the scheme, and the only provider that has been able to deliver the scheme for both businesses and residential properties. 3. Your fibre optic network appears to be building into some rural areas that can already access a hybrid fibre FTTC (VDSL2) broadband service, such as via Openreach’s platform. Does doing this make it harder to attract customers in those areas to your network? No, for two reasons. Firstly, in these rural areas we tend to come in at a fraction of the cost of Openreach, and with a commitment to roll out the service faster. Secondly, we deliver a far superior full fibre infrastructure that can future-proof local economies for many years to come. Once customers understand that not all fibre connectivity is created equal, it’s an easy sell. There is, however, a difficulty in educating customers about the differences, given that so many fibre broadband providers are able to get away with making dubious or inaccurate advertising claims. 4. Another ISP that follows a similar model to your one, Gigaclear, has recently secured a number of large state aid supported contracts to help expand FTTP into rural communities around various counties in England. Do Truespeed have any serious plans to bid on similar contracts in the future and if not, why not? We’re proud of the fact that we’ve been able to achieve such strong progress in delivering FTTP to the South West without Government subsidies, because it demonstrates the viability of our business model. However that’s not to say that we wouldn’t bid for contracts in the future that aligned with our stated rollout aims. What’s important is that BDUK and local bodies ensure they are clear on the differences in product quality when setting up these tenders, so that they’re evaluating bids based on the ability to serve long-term community needs. 5. Earlier we touched briefly on the challenging costs of deploying into rural communities. What sort of payback period (years) do you envisage for your own deployments and how much take-up in each area do you usually target? If we get 30% of the community signed up then we move in and start delivering the infrastructure. What we’ve found is that as word gets around, this figure tends to increase significantly and we’ll often end up serving the majority of the community. Our customers sign up to an initial 18 month contract with us. After that we aim to keep every last one of them happy with our service so that there’s no reason for them to look elsewhere. 6. From 23rd May 2018 the Advertising Standards Authority (ASA) will be requiring all broadband ISPs to advertise “average” speeds (the median measured at peak time) for their headline packages. Are you adopting this change and what are your thoughts on it (i.e. is their method a good approach)? No. We don’t have an average speed as we don’t need one. The speed we advertise is the speed that we deliver. We don’t suffer from network contention issues: our Active Ethernet network provides a full fibre service that guarantees our customers a minimum speed of 200Mbps at any time, just like what some might know as a leased line, but for a fraction of the cost. For the wider market, though, this is certainly a step in the right direction in terms of transparency. For too long, some ISPs have bamboozled customers with glossy ads promoting their ‘fibre’ broadband services, without ever having to provide clarity, or educate on what ‘average speed’ really means. It’s crucial that customers have the tools and information at their disposal to make more informed choices about broadband providers and packages, and aren’t left with a sub-standard service because of unrealistic promotional promises. Great work and great for those communities. Nice to know that rural/semi rural fibre makes economic sense to the company and a canny investor. It’s a CON as traffic shaped and managed product with lengthy contract to keep you tied in when gfast roles out it will make fibre to premises look expensive compared to leased line, bonded vsdl etc. Saturate connection and see how long before they cripple it as not a truly contention free product. If Truespeed are guaranteeing 200Mbps Ethernet for ~£50 per month, I can see how they could manage that for 1000 customers (3000 passed @30%), but 12000 or 75000 really?? That is a lot of backhaul / data centre capacity let alone transit costs & peering ports – realistically possible from a zero start? I would assume that all these small players are hoping to be bought out quickly so that the investors can get their money back. I see no future for a niche infrastructure company. The economics don’t add up. This is just like the 80’s cable TV rush. History repeats itself. If the economics didn’t add up AVIVA would not have invested. I wouldn’t buy Aviva shares. Avoid all insurance groups UNLESS you buy at their lowest as in 2008. Look they are after a quick buck so will sell out as soon as one of the big boys comes knocking. A must read for anyone passionate about the UK’s future on the world stage. Keep up the good work Evan! As a rural inhabitant with bright kids this campaign will make a real difference to their future. 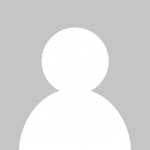 More and more education and ‘success learning’ is online and real-time. To answer the ‘Curious’ question on backhaul, 50 mbps for 200,000 customers only requires 10Tbps of core network capacity. This can be delivered today over a single fibre pair using current technology and is cheap as chips compared with the civil engineering costs of access rollout. Hmm. 10Tb/s of transmission network capacity along with 10Tb/s of routing capacity and 10Tb/s of transit and peering is not trivial. More likely they engineer their network to try and ensure there’s always 200Mb/s available to a customer at each contention point. They most definitely are NOT providing 200Mb/s of capacity per customer or even 50Mb/s. Anyone seriously think that BT have 100Mb/s of capacity across their network for every Ultrafast customer? Interesting dual coverage with CDS funded Gigaclear in some places. Even if they do end up selling they are doing the important part now installing the infrastructure. That’s all that really matters to be honest. Don’t forget OFCOM are tightening the rope on what is accepted as “contended” and guaranteed minimum speeds during the 9x% of the time at peak period. Which, in all fairness is long overdue, as these new ISP’s sometimes promise the world, when in reality, the facts are very different. I think that, regardless if you are an established or new ISP, if you claim whichever speed for super/ultra-fast broadband, it should be delivered at all times, so the 100% coverage mark, and that is what OFCOM should be pushing to, and a minimum of a constant 80% that speed at peak period, not working on timed period percentages.